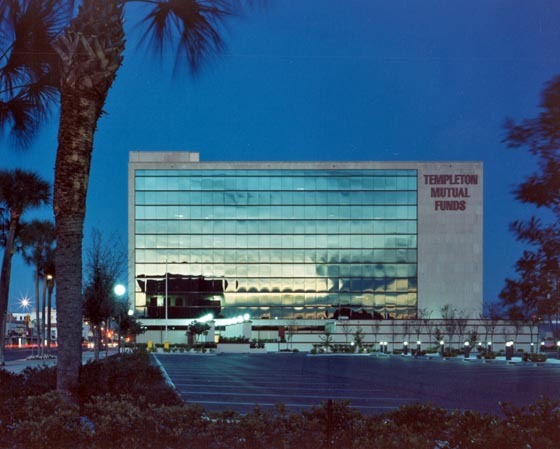 This six-story turn-key project consolidated and relocated the Templeton Fund into one location. COFFEY GROUP ARCHITECTURE, LLC* was responsible for programming, space planning, interior design, and systems furniture selection. To facilitate interior planning and growth, the staff is accommodated in open plan offices. Department managers occupy enclosed offices at the exterior corner of each floor and have glass walls to promote communication with the staff. A computer room, training center, and cafeteria, were also part of the program. To meet the client’s five-month schedule, COFFEY GROUP ARCHITECTURE, LLC* fast tracked the project design, construction, and installation.